Hugh had been taught that, according to the ancient sacred writings, the Ship was on a voyage to faraway Centaurus. But he also understood this was just allegory for a voyage to spiritual perfection. Indeed, how could the Ship move, since its miles and miles of metal corridors were all there was of creation? Science knew that the Ship was all the universe, and as long as the sacred Converter was fed, the lights would continue to glow, the air would flow, and the Creator's Plan would be fulfilled. 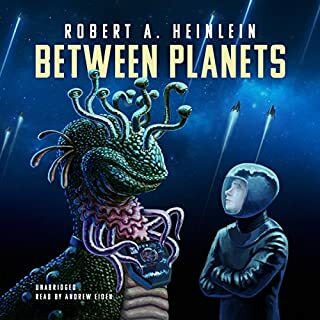 A tale beloved by many fans of Robert A. Heinlein, Podkayne of Mars tells the story of a young Marswoman and her interplanetary adventures with her uncle and her genius brother. Told largely through Podkayne's diaries, the story details her travel to Earth with her two companions. Podkayne has definite plans on what to do and how to do it, but not everything is as it seems. She is suddenly thrust into the middle of life-or-death situations when the liner they are traveling on makes a stop at Venus. 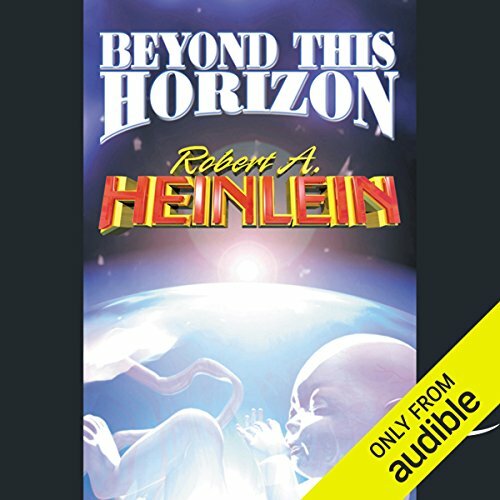 Robert A. Heinlein is widely and justly regarded as the greatest practitioner of the art of science fiction who has ever lived. Here are two of his greatest short novels: Gulf, in which the greatest super-spy of them all is revealed as the leader of a league of supermen and women who can’t quite decide what to do with the rest of us. And Lost Legacy, in which it is proved that we are all members of that league - or would be, if we but had eyes to see. Hamilton Felix, the result of generations of genetic selection, finds his life as the ultimate man boring - until a gang of revolutionaries tries to enlist him in their cause. 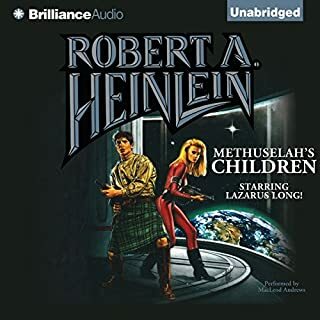 ©1942 Robert A. Heinlein (P)2009 Audible, Inc. 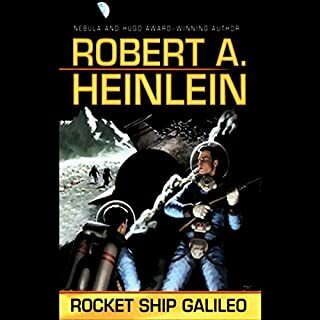 This is a Heinlein classic from 1942. It dares to ask big questions that we are still wondering about all these years later. 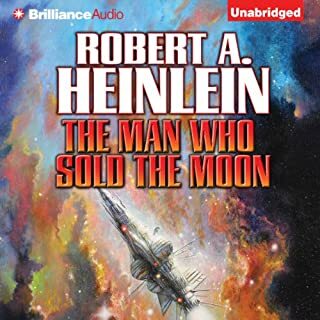 Sure, some of the attitudes regarding interpersonal relations are sexist ( a trait in much of Heinlein's writing) but overall, the book holds up very nicely. Memorable characters like Felix and Cliff may be successful, but they each have a great deal to figure out about living a fulfilled life. Watching them take that journey is fun. Along the way, the book invites the reader to consider some pretty big philosophical questions. If you are looking for something to make you think while you read, this one is excellent. Peter Ganim's performance on the audio is good, if a bit slow in places. I found myself wanting him to quicken his reading pace. Still, the book has more than enough merit to recommend it. In this future pictured by RAH, men carry guns in holsters, just like in the old west. Dueling is legal. Most of us are a product of carefully planned out genetics. This takes planned parenthood to a whole new level. If Heinlein would have stuck to genetics or westerns this might have been an ok book. The story has almost no flow, it is full of lots of stutters and starts. It is like Heinlein could not figure out what he wanted to write about. He had several issues, but never stuck to any. The book has almost no plot. Chapter three sounds almost exactly like a two hour lecture I had in college biology. It talks about sperm and eggs and how they form babies. There is a character who jumped to this time in a time machine from 1926. Everyone seems to know about it, but nothing is done to figure out how to build a time machine. Towards the end a kid develops telepathy, but little is done with it. There is some talk on reincarnation. 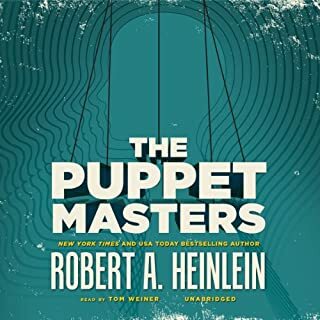 Heinlein can give you something to think about even when he is just throwing thoughts together. One statement he makes that I really liked was, "Women will forgive anything, otherwise the human race would have died out long ago." He also explains why we have not discovered life in space and why aliens have not discovered us. He says that it took man four centuries to cross the America's, and given the size of space, it just has not happened yet. If you have never read RH, please don't start with this book. 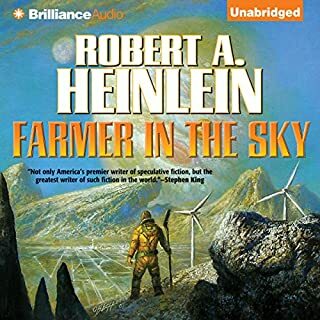 Heinlein has written some really good stuff, may I suggest you start with "The Green Hills of Earth" or "Starship Trooper" or "Starman Jones.